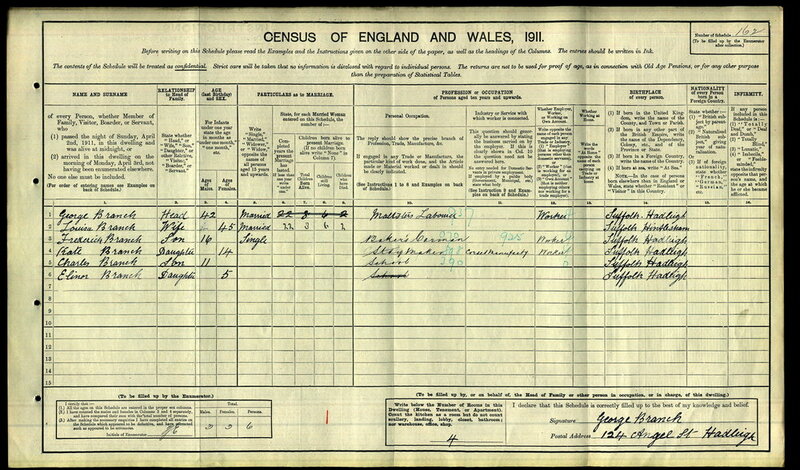 Frederick was born in Hadleigh in 1895. 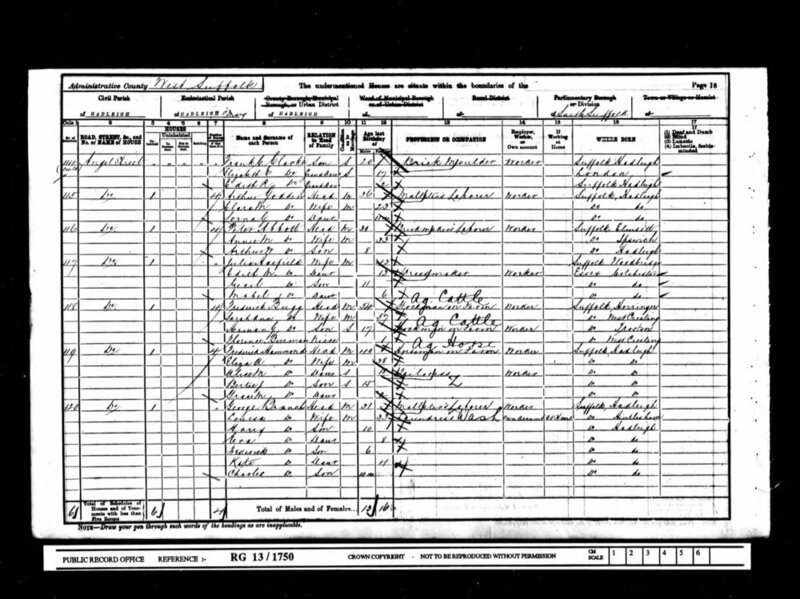 The 1911 Census report him as living at home with his parents and siblings; Kate 14, Charles 11 and Elinor 5 at 124 Angel Street, Hadleigh. Older brother Harry 20 and sister Era 18 had left home at that time. In 1911 Frederick was aged 16 and was 16 and employed as a baker's carman (a delivery man). 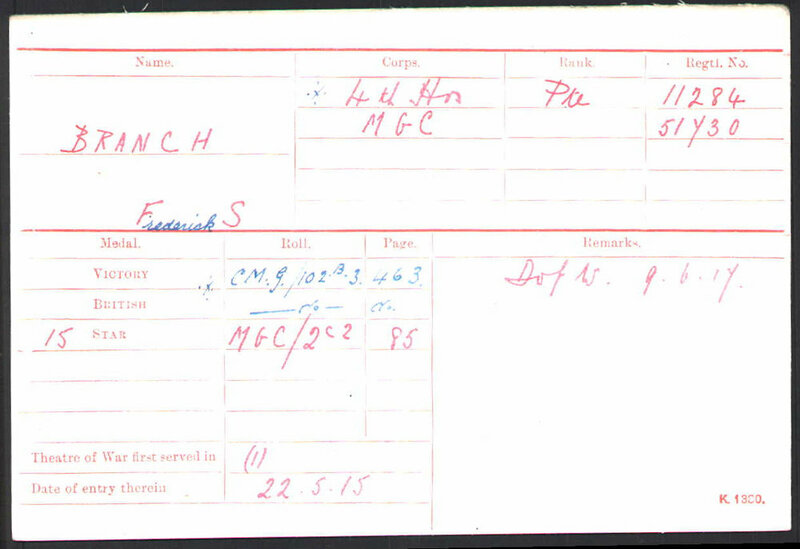 While in the Loos area Frederick was wounded in his right arm on 22 January 1916 whilst in trenches at Hulluch with a dismounted company. He was evacuated home to recover. He was then sent to Ireland to join the 10th Cavalry Reserve and while in Ireland his unit were deployed onto the streets of Dublin to deal with Easter Rising Rebellion in April 1916. In a letter to his old headmaster, Frederick said he was one of the escorts of the captured rebel leader, Countess Constance Markievicz. He enlisted before the war into the 4th Hussars, a cavalry unit and was sent to the Western Front in May 1915 aged 20. By September that year his unit were held in reserve during the Battle of Loos. It was hoped that the infantry would breakthrough in the German line force a gap through which the cavalry exploit. The gap did not appear. Frederick was entitled to the above three medals. The whereabouts of his actual medals are currently unknown. In October he returned to the 4th Hussars, now on the Somme battlefield and in April 1917 was involved at the Battle of Arras. At some point he was transferred to the 3rd Machine Gun Corps (Cavalry) Squadron. By Jun 1917 the earlier offensives on the Somme and around Arras had quietened but the armies still faced one another and the Western Front remained a very dangerous place to be. The village of Tincourt near the river Somme was a rear-area location. But it was here on 6 Jun that Private Frederick Stanley Branch from Hadleigh was seriously wounded in the head by a shell. He died 3 days later. Frederick was buried close to where he died. (location J.22.d.9.3). 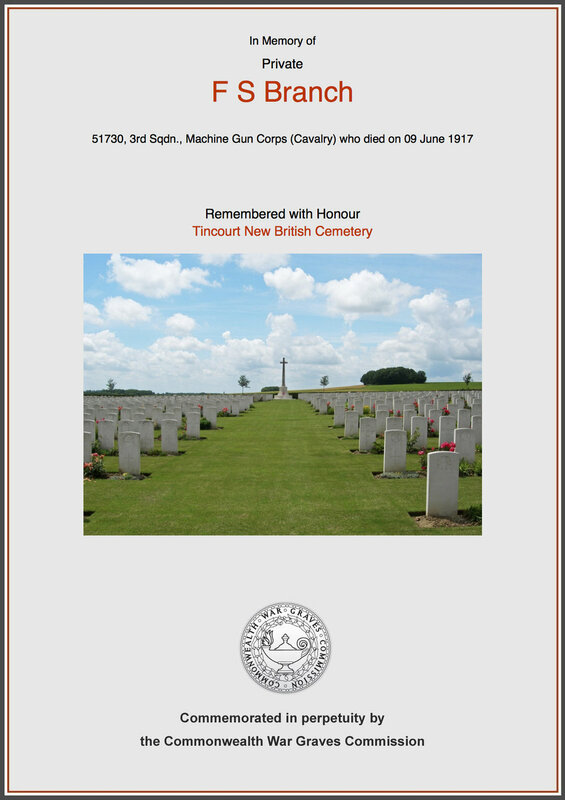 After the war in August 1919 his body was exhumed by a Graves Recovery Unit and he was reburied at Tincourt New British Cemetery. He is also remembered on the Hadleigh War Memorial. We hope that this page has been able to tell the story of Frederick Branch. If you know of any information which might add to the story then please get in touch.